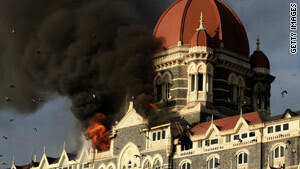 The November 2008 terror attacks in Mumbai, India, which included the seige at the Taj Mahal hotel, killed 160 people. Kia Scherr -- whose husband, Alan, and 13-year-old daughter, Naomi, were killed in the Mumbai attacks -- welcomed the developments in the case. "Though my loss still causes me much grief, I am grateful for the support of the FBI, who called me personally and informed me of the news," she said. "My hope is that Headley cooperates fully and discloses all information to aid in the investigation ..."
CNN's Drew Griffin and Terry Frieden contributed to this report.